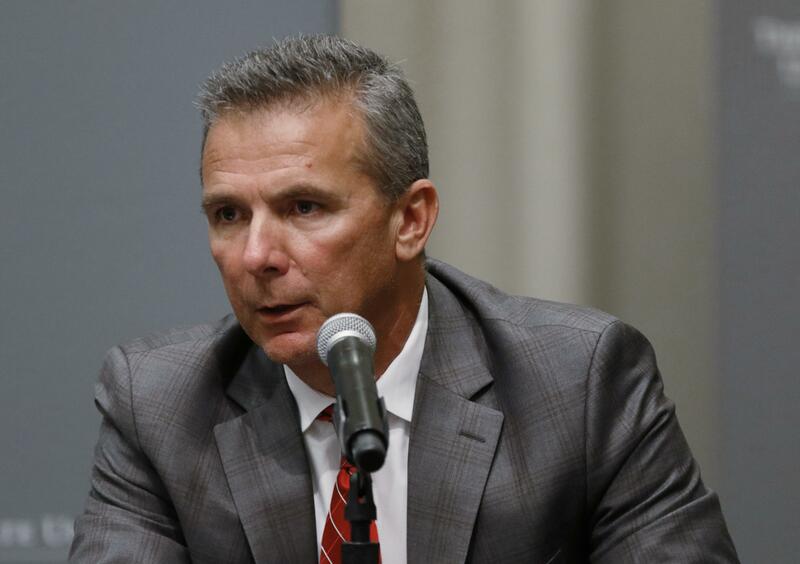 UPDATED: Wed., Aug. 22, 2018, 7:56 p.m.
COLUMBUS, Ohio – Urban Meyer was suspended by Ohio State on Wednesday for the first three games of the season for mishandling domestic violence accusations, punishing one of the sport’s most prominent leaders for keeping an assistant on staff for several years after that coach’s wife accused him of abuse. Trustees discussed the decision to punish Meyer in a marathon meeting of more than 12 hours Wednesday while Meyer waited in the building. Athletic director Gene Smith – who is not related to Zach or Courtney Smith – was also suspended without pay from Aug. 31 through Sept. 16. Published: Aug. 22, 2018, 6:13 p.m. Updated: Aug. 22, 2018, 7:56 p.m.